Will Life Insurance Pay Out For A Drug Overdose? Imagine the following scenario: Your spouse is the sole provider for you and your child. He has a life insurance policy, and he unexpectedly perishes. You assume that the policy will issue you – the beneficiary – the death benefit after he passes away. However, while your spouse was young and relatively healthy, to your dismay, an autopsy reveals that the cause of his death was a drug overdose and refuses to pay the death benefit. In addition to your world being turned upside-down because your spouse has passed away, you are even further shaken to learn that you do not have access to the financial stability that you thought his life insurance would offer because he overdosed on drugs. You can’t help but wonder if the company that issued your husband’s life insurance has the right to deny the claim. Does life insurance cover drug overdoses? Sometimes, but not always. It used to be that insurance providers excluded coverage for people who engaged in risky behaviors. These behaviors included things like scuba diving, mountain climbing, and skydiving, as well as drug use. However, today, many life insurance providers have become less stringent with their exclusions. But, with that said, it is still necessary for insured individuals to disclose with the provider any dangerous or risky behaviors that they engaged prior to receiving coverage. If the insured does not disclose this information, there is a chance that the policy will be void if the individual perishes as a result of engaging in a risky activity, such as drug use. If the policyholder isn’t forthright with information regarding risky behavior, the insurance company has the right to deny the claim. If a claim is filed on the insured’s life insurance, there is what is known as an incontestability period. During this period, the insurance provider can dispute a claim, stating that the policyholder provided them with incorrect information. Drug use is considered risky behavior, and an insurance provider may or may not issue a death benefit for a drug overdose. When can an Insurance Company Deny a Drug Overdose? If the drug overdose was deemed intentional, a life insurance provider can deny the claim and refuse to payout the death benefit. This is especially true if the life insurance policy was just taken out and the insured died as a result of a drug overdose shortly after the policy was issued. In this case, it would likely be determined that the insured took the policy out as a way to provide his or her family with financial stability – even if it meant ending a life. If, however, the drug overdose was unintentional, there is a chance that the insurance company will cover the claim and pay out the death benefit; however, this type of situation is still tricky. Why? – Because drug use, as mentioned, is considered risky behavior. If the insured was not honest with the insurance provider while applying for life insurance coverage and had a long history of drug use, coverage may not be granted. But, that’s not always the case. For example, if the person was not using drugs at the time the policy was issued and recently started using them, or only tried them one time and overdosed, the insurance company may cover the claim and issue a death benefit to the beneficiary. In short, drug overdoses require lengthy investigations before an insurance agency will agree to issue a payout to the named beneficiary. Based on what the insurance provider finds during the investigation, they may cover the claim, or they may deny it. 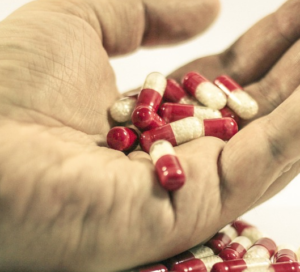 Is there a Difference between Illegal and Prescription Drugs? Just like it depends on the nature of the drug overdose, it also depends on what type of drug the insured overdosed on. An overdose of an illicit drug, such as cocaine, heroin, or meth, the insurance company could argue that the insured knew the dangers of using the drug, and therefore, the overdose was non-accidental and a claim could be denied. An overdose on a prescription drug, however, may be deemed accidental, because prescription drugs are prescribed by licensed physicians. For example, if someone overdoses on Oxycontin that was prescribed by a doctor, the death may be ruled accidental and the life insurance company would likely pay the death benefit. Will a life insurance company deny a claim for a drug overdose? In short, there is no definitive answer. It depends on the circumstances and the insurance provider.